Again, I am always excited when it comes to Marvel movies. Venom is included. Thanks to Klips My for the premiere invitation. It was an invitation that is very hard to resist. SYNOPSIS The movie starts with a Life Foundation's rocket failing while entering Earth with its 'precious cargo 'and crash-landed in Sibu, Sarawak! The cargo infected the nearby people and possesses a lady with Life Foundation's logo in her hand. Yes, you read it right! It landed in Sibu, Sarawak! That's my hometown y'all. I have to check on my family now. Nice set of ring lights you have here. You also doing beauty review? 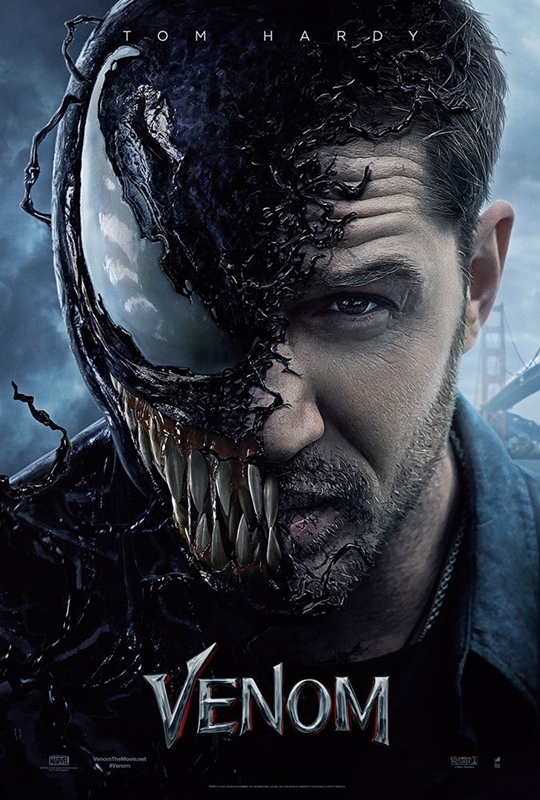 Eddie Brock, a famous journalist lost his job and future when he decided to disobey his superior's instruction to conduct a decent interview with Life Foundation's founder, Carlton Drake. Instead of questioning him about his future plans, Eddie decided to question Carlton about his lab's morality on human experiment and the court case against the Life Foundation, based on a confidential email received by his girlfriend. After which, he was fired. Spiralling down with no job and life, Eddie's life change when he met Dr Dora Skirth. Dr Skirth can no longer tolerate Carlton's immorality and decided to share the evidence with Brock. She sneaked Brock into the lab. Inside the lab, Brock realises that all the experiment test subjects are homeless people and one of them is his friend. He manages to break her out from the cell, but Maria (the homeless friend) jumped and strangled him. Whoa! Imagine waking up to you every morning! Fleeing the lab, Eddie realised that he has contracted a parasite of a sort when he starts to hear voices. And when the bad guys from the lab crush his place, the dark matter that materialises from his body and attacks the bad guys confirms his fear that he is not well. Again, he manages to flee the scene alive, all the while getting to know the dark matter and the voice inside his head. It is an alien race that wants to conquer the world and it needs a host to survive in Earth's environment. 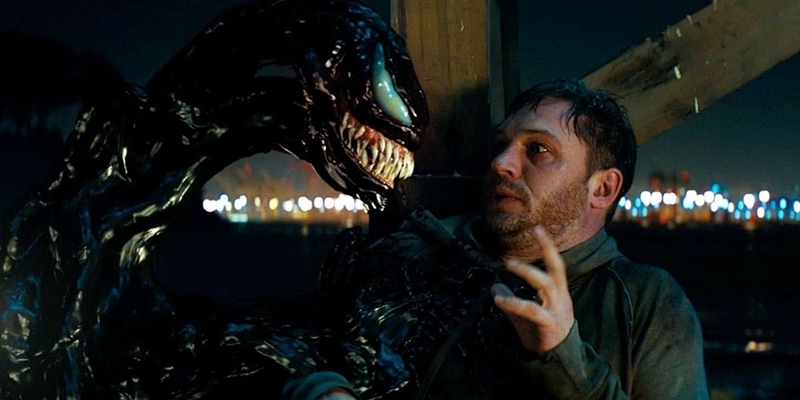 The alien introduced itself as Venom. And I thought my husband is ugly! Meanwhile, the alien that crash-landed in Sibu has managed to find its way to the lab. It changes body from Sarawak by possesses different hosts along the way. When it reaches the lab, it possesses Carlton and introduced itself as Riot. 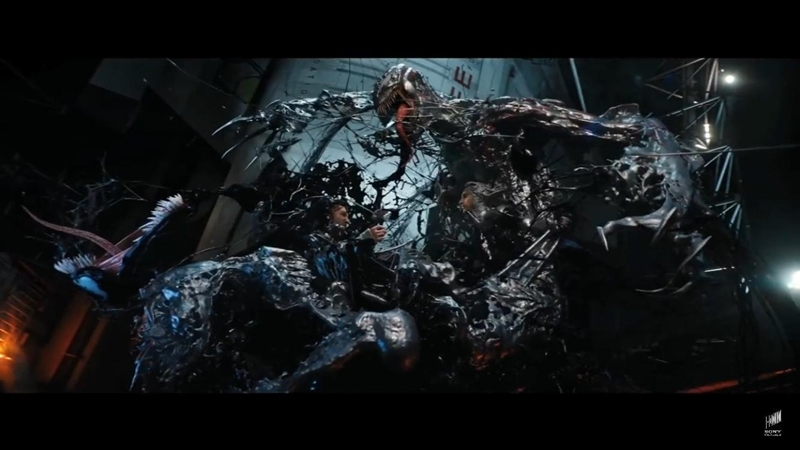 Eddie's good nature must have taken its effect on Venom when Venom starts to like Earth and don't want its race to take over Earth. In order to save Earth, Venom has to stop Riot from flying back to their planet and return with the race. There is only one problem - Riot is a major leader and packed with lots of weapons, whereas Venom is just a nobody. 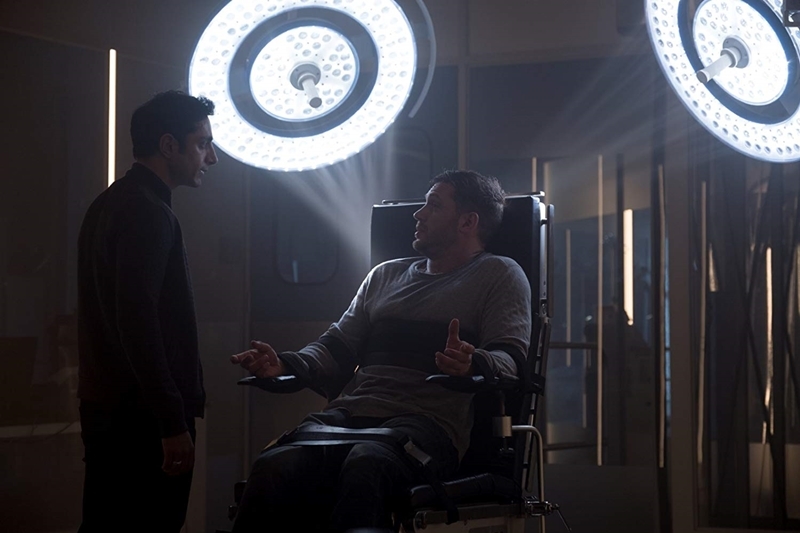 Will Eddie/ Venom succeed in their mission saving the Earth? Psst: There will be two post-credit scenes with one being at the end of the credit. So, just stay on your seats until the very end ok. Plot: 4.8/ 5.0. Nothing new with the anti-hero movie plot. But I love how they build the character and the movie that will enable the non-Marvel fanatics to understand the film enough. What I love? The fight scenes, the monologue between the two characters and also the wittiness of Eddie in the movie. 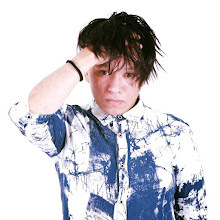 Cast: 4.8/ 5.0. No comment whatsoever! Just love! Will I watch it again: Yes. I don't mind watching it again! I know right. And that's my home town! Wow! gosh! I watch the trailer play at one of the LED screen while driving to work just now.This look super creepy creatures. Like that alien film. Nice review rawlins. Can't wait for more review from you. looks like it's a great movie.. time to book a ticket and watch this show.. nice movie review you have written.. I ingat venom ni salah satu karakter yang evil kan dalam cerita Spiderman ? Betul tak ? tapi sado la hero dia I like it.. nak tunggu tengok wayang nenanti lah tunggu keluar kat TV atau netflix je sebab panggung wayang tak sesuai bawa kanak-kanak..
Wahh famos lah sibu lps ni..terutama org2 sibu..:). Kawan i ckp pon cerita nie macam kurang n biasa2 je. Takde gempak seperti posternya. Tapi still nak jugak pergi tengok nanti bila ada masa. lom sempat nak ke panggung lah, rawlins. anak2 pun dah komplen tau. lotsa movies tertinggal! Nampak macam best.tapi kena g tengok dulu sebelum komen panjang.weekend ni boleh singgah tengok movie ni hehehe.